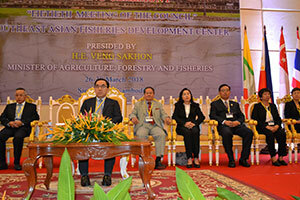 At the kind invitation of the Government of the Kingdom of Cambodia, the Fiftieth Meeting of the SEAFDEC Council was convened in Siem Reap, Cambodia from 26 to 30 March 2018, hosted by the Fisheries Administration of the Ministry of Agriculture, Forestry and Fisheries of the Kingdom of Cambodia. 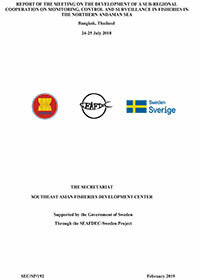 In attendance at the Meeting were the Council Directors and delegations from the SEAFDEC Member Countries, namely: Brunei Darussalam, Cambodia, Indonesia, Japan, Lao PDR, Malaysia, Myanmar, Philippines, Singapore, Thailand, and Viet Nam, as well as officials of the SEAFDEC Secretariat and Departments, and collaborating agencies. 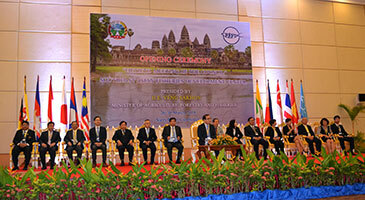 The Opening Ceremony of the Fiftieth Meeting of the SEAFDEC Council was held on 26 March 2018, and was presided over by the Minister of Agriculture, Forestry and Fisheries of Cambodia, H.E. Veng Sakhon. 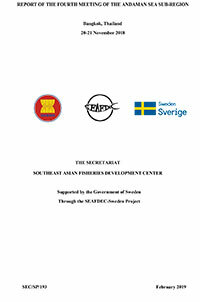 The Meeting unanimously elected the Council Director for Cambodia, H.E. Eng Cheasan as the Chairperson of the SEAFDEC Council for the Year 2018-2019, succeeding, Mr. Abdul Halidi Mohd Salleh, SEAFDEC Council Director for Brunei Darussalam who served as the Chairperson of the SEAFDEC Council for the year 2017-2018. The Council noted the progress and achievements of SEAFDEC in 2017, and approved the proposed program of activities to be undertaken in 2018. 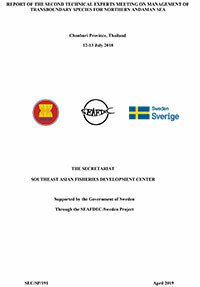 The Council also provided recommendations for the promotion of regional initiatives to combat Illegal, Unreported and Unregulated (IUU) fishing that include the “ASEAN Guidelines for Preventing the Entry of Fish and Fishery Products from IUU Fishing Activities into the Supply Chain,” the “Regional Fishing Vessels Record for Vessels 24 Meters in Length and Over,” the “ASEAN Catch Documentation Scheme,” the “Regional Cooperation for Supporting the Implementation of Port State Measures in the ASEAN Region,” and the “Regional Plan of Action for the Management of Fishing Capacity” to make sure that their implementation corresponds to the priorities and needs of the region. 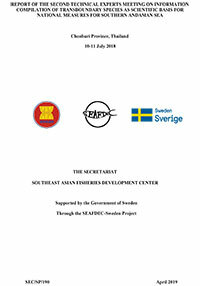 The Council supported the policy brief “Applying Human Rights-Based and Gender Equality Approaches to Small-Scale Fisheries in Southeast Asia,” and the initiative to develop Gender Strategy to facilitate the integration of gender perspective into the programs and projects of SEAFDEC in the future. The Member Countries were encouraged to consider participating in the “Our Ocean Conference 2018” which would be hosted by the Government of Indonesia on 29-30 October 2018 in Bali. 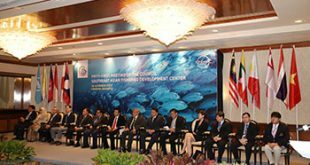 The Conference would focus on six areas of actions, namely: marine pollution, marine protected areas, climate change, sustainable fisheries, marine security, and sustainable blue economy. 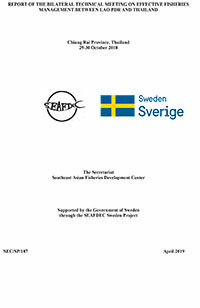 The Council recognized with appreciation the extension of close cooperation and collaboration by regional/international agencies/organizations with SEAFDEC in undertaking activities that address the priorities of Member Countries of SEAFDEC towards the sustainable development of fisheries in Southeast Asia. At the closing of the Fiftieth Meeting of the SEAFDEC Council, the Council extended its appreciation to the Government of Cambodia for the excellent hosting of the Meeting and the warm hospitality accorded to the Council throughout the event. 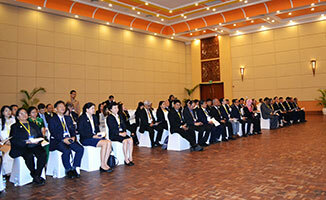 The Council then announced that the Fifty-first Meeting of the SEAFDEC Council in 2019 would be hosted by Indonesia.